A mysterious sign, a lost diary, a daring journey down canyons of the West and across France in search of three voyagers from 1938. 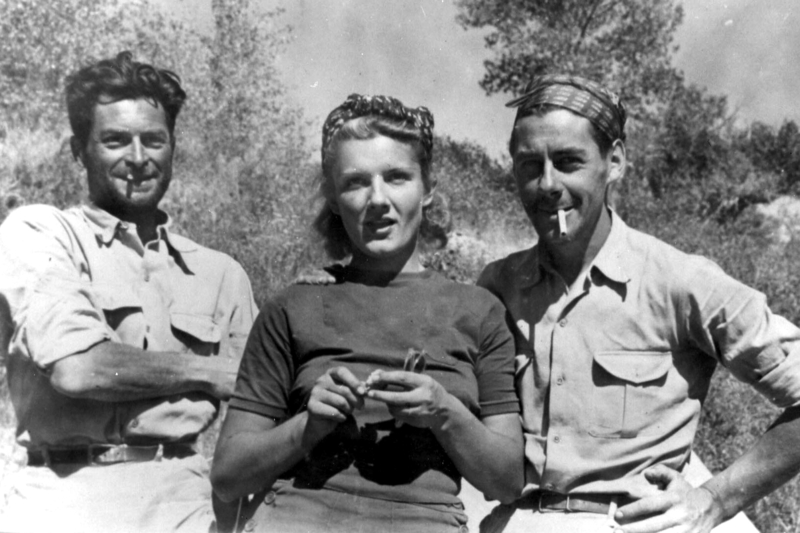 In 1938, newlyweds Geneviève and Bernard and their friend Antoine set off from France on the biggest adventure of their young lives. Their goal was to be the first to kayak and film the great white water rivers of the American West, the mighty Green and Colorado. They launched from Green River, Wyoming and emerged 900 miles and three months later in Lee’s Ferry, Arizona, with their travels vividly documented in 16mm color film. Although they had made history, their groundbreaking feat was quickly eclipsed by the outbreak of WWII, and their photos and film went unseen for more than 50 years. A tale of two journeys, woven together by place, this exhilarating story speaks to the desire to set out on great adventures and to leave something for others to find.